Here at Max Security we are the specialists in all things security door installation Goolwa South. In fact the team at Max Security are your best bet for all things safety and security for your home or business. Is your home a residence, beach house or holiday home? Do you want peace of mind at night or when you are away for the day? Then Max Security are the team for you, as you cant go past our Security Door installation Goolwa South. We offer everything from a free measure and quote to expert advice on all colours and options. In order to find the best suitable option to suit your home call us today. The team at Max Security Doors & Screens are the specialists in all things security door installation Goolwa South. We even have of the largest showrooms the southern suburbs of Adelaide. On top of this we have an exclusive range of Crimsafe products and services that will leave your home as safe as possible. So for all of our services security door installation Goolwa South call us today. Security Door Installation Goolwa South Max Security Are Your Local Specialists In All Things Security Door Installations Goolwa South. 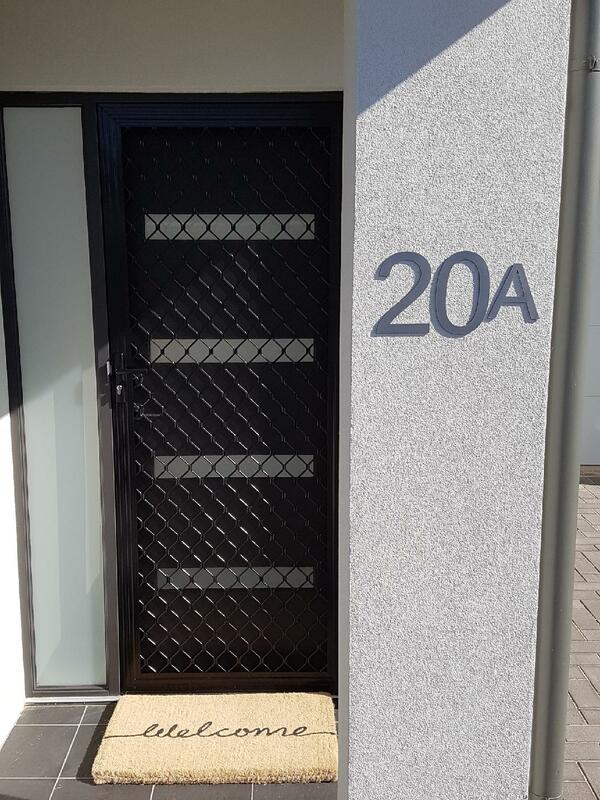 This security door installation in Goolwa South showcases the latest technologies in Crimsafe with a double black woven security screen mesh. This door also includes the most durable and strongest security lock in the market place and is one the safest doors that you could choose from. For the best quality security door in Goolwa South you have come to right place. The photo below showcase the completed job for a Security Door Installation In Goolwa South If you would like something similar to this and to get a free measure and quote, please contact us on 08 8186 5733 and one of our friendly staff will help you out.